Visiting a theme park? What's in your backpack? A well-stocked pack can help you make your day at Disneyland, Six Flags or Universal Studios a more enjoyable one, providing you with the stuff you'll need to stay healthy and comfortable. Well-chosen supplies also can help prevent minor annoyances from becoming day-wrecking disasters. Yet, unless you're the new owner of Hermione's purse, you won't want to cram too much stuff into your pack, making it too heavy and bulky to carry comfortably around the park all day. So here is Theme Park Insider's list of backpack essentials. Remember that not everyone needs to carry all of these items, but that someone in the group should have each one. Why spend big bucks to outfit everyone with rain ponchos when the summer afternoon thunderstorm hits? Buy your ponchos in advance for a fraction of the cost you'll pay inside the theme park. You can skip the rain gear only if you'll be visiting a Southern California theme park between Father's Day and Labor Day. You'll have zilch chance of getting caught in the rain then. Which you selected and bought in advance, right? An auto club membership card can be used for in-park food and merchandise discounts at Universal, SeaWorld/Busch Gardens and Legoland theme parks. It's a great buy for most theme park fans, but only if you remember to bring it, and use it. If you'll be riding any water rides, you'll want to keep your cell phone and camera dry. A zipped baggie does the job just fine, if you aren't going to leave your electronic items in a locker, or with a friend or family member who isn't riding. Stay hydrated by drinking water throughout the day (and the day before your trip!) Rather than paying for expensive plastic bottled water, or worse, drinking expensive sodas, bring your own water bottle and refill it as needed throughout the day. You can use self-serve drink stations for water fill-ups, if you don't like fountains or they're not available. You don't want to (a) fry to crisp on a sunny summer day or (b) pat $20+ a bottle inside the park. Bring your own so you can reapply as needed throughout the day. A blister or scrape can ruin a day, if left untreated. So pack a few adhesive bandages, pain pills, and a small tube of antibiotic ointment. You don't want to pay theme park prices for these, or lose time in the park filling out paperwork at the first aid station for something small. These are a must if you'll be riding any water rides. Some parks now have "family dryers" next to flume rides' exits, but even those won't get your underwear dry. (Plus, a couple minutes in the dryer often costs $5.) Some folks prefer to change into a swimsuit before going on water rides (check if park rules permit this), while others prefer to change into dry clothes afterward. Bring a small towel, too, if you'll be visiting a water park. Many parks don't provide them. Water-proof zipped bags (see item #2) are helpful to store soaked clothes, so they don't get everything else in the backpack wet. Some parks continue to prohibit bringing in outside food. I'm also a fan of making meals part of the theme park experience. But little kids who need a small snack between meals shouldn't have to rely on sugary or fat-laden theme park treats. Pack a few granola bars, grapes or other favorite to help keep your little ones happy before their tummies make them grumpy. This can be your cell phone camera, or a regular digital camera. But be sure to use this as soon as your arrive - to take a photo of where you park. I'd love to hear your packing tips, too. Please feel welcomed to add yours in the comments. June 3, 2010 at 12:34 PM · Everything you said is exactly what I pack in my bookbag for trips. I also reccommend crocs if you will be visiting parks with water rides so you don't walk around all day squeeking. June 3, 2010 at 12:42 PM · When we took our first trip, me and my husband both carried backpacks with everything under the sun in it. Over the next few years, it became one bag with less and less stuff in it. Last year we packed backpacks to take with us and never used it. He carries our camera and camera bag and we always stick our debit cards, cash, i.d. & park tickets in that. We usually carry bottled water in our hands and reused them. We put on sunscreen right before exiting our rooms and generally never spend more than 4 hours a time at the park while it's hot. We take a break, eat and nap before heading back in the evening which helps keep us from being dehydrated, sunburned and wore out. This has also helped eliminate the need to carry a bag around. I don't mind it, but if you put too much stuff in there after awhile your back and neck are aching. Luckily we've never popped up with an emergency on any trips so there wasn't a need for all the stuff. Snacks we usually leave in our rooms and go back and eat during our breaks, or right in or outside of which ever park we are visiting. I am lactose intolerant so I keep alka seltzer and lactaid pills in my short pockets or the camera bag in case I get up the nerve to have dairy products. I am then prepared. June 3, 2010 at 12:51 PM · I'm of the opinion that backpacks are overkill in theme parks (water parks are a different matter.) Do you really need to carry ALL of that stuff around with you everywhere? If you're going to stash it in a locker, fine. Otherwise it's flat out inefficient. For example: Put on water-proof sunscreen in the morning BEFORE you get to the park and be done with it. Drink from the water fountains most parks have if you're not up for colas. Water-proof zip bags tuck easily into cargo shorts. Worst of all, in my experience at least, most folks don't know how to handle a backpack - they're constantly bumping into others, knocking over displays, stopping in the middle of walkways to rifle through them, delaying loading times, etc. Ditch the bag - set yourself free and enjoy the park. June 3, 2010 at 1:10 PM · I have a Disney annual pass. I carry a back pack every time I go & I never regret it! Other items you must have, pain killers, you don't want a headache and have to swim through the crowd to get some. For girls... Femnine supplies, always be prepared. For longer haired people, brush and something to put your hair up, it gets bothersome after awhile. Chapstick, hand lotion, tums, your meds, trail mix, and sunglasses. It may sound like alot, but if you bring only the amount you need and put it all in a ziplock bag you will be good to go. If you buy something use the extra room in your bag to put it in. You will be hands free all day! June 3, 2010 at 1:42 PM · handy wipes are a must! June 3, 2010 at 1:45 PM · Rash guard shirts are a must, to wear not carry because a regular t-shirt only has about 8spf sunscreen in it, a good rash guard has at least 30spf & will save you lots of pain not just for the kids but parents as well, because if even one person has a sunburn everyone will be unhappy. I also agree with the croc for the water parks, and I think if you can put some of the important stuff in a fanny pack all the better because you can't always take the backpack on certain rides, so you can leave it in the car & get it after lunch when your ready to do less exciting & dry rides . June 3, 2010 at 3:24 PM · Good info, for sure, but what's the best theme park backpack, and can I get it for less than $50? June 3, 2010 at 6:26 PM · BACKPACK???? Whazzat? I have a zippered pouch that I wear under my shirt, around my neck and under my arm. In the pouch are my car key, money, Season Pass, license, and cell phone. Anything else..food, drink, windbreaker, spare clothes... is in the car. June 3, 2010 at 7:16 PM · James, I've taken use of a fairly small backpack/bag that has been useful throughout the years! We usually take a separate bag for carrying or we hold our own water. A separate bag for clothes isn't a bad idea either, but I would suggest a smaller bag. The smaller the better. I don't begrudge the need to carry items into the park, but I think the time has come for Disney to begin setting limits on the amount of bulk a guest can bring in, similar to the restrictions the airlines impose upon carry-on bags. June 3, 2010 at 7:47 PM · You do not even need a big book bag! Bring a fanney papck with moeny and first aid suplies. The water you can always hold. Also For the swimsuit rule. How are they ever GOING TO KNOW UNLESS IT GETS WET. Change in the bathroom in the stall. ALso defenitly bring a DRY SHIRT AS I HAVE JUST LEARNED. Some parks do not let you take shirts off for water rides and require you to have it on all tiems. THe same with shoes almost all parks realy enforce that one keep shes on. If you are going the RYE the shirt rule realy aplies and the wet bathing suit rule aplies. If you are wet in basicly come down to this No rides till you dry! June 4, 2010 at 5:28 AM · Change of underwear. I mean really?! Ha ha. I only ride water rides when it is really hot. Last one I was on was Popeye at IOA. It was 95 degrees that day. I remember getting off the ride and feeling dry ten minutes later. Only to then go on Dudley Do Right and get wet all over again. I laughed when I saw the update though. Our daughters are 2 (will be 3 in 3 weeks) and 6 months. It has gotten so that we spend so much time packing for them that we forget about ourselves. Like last weekend we were packing and preparing for the zoo and then halfway there I realized I forgot my wallet and cellphone. But of course we had plenty of diapers, wet wipes, toys and snacks. ha ha. June 4, 2010 at 5:45 AM · I agree, you need some stuff. What i do is i carry a backpack and inside it a fanny pack. The backpack for the wet shoes (not crocs, i hate, hate crocs) and the clothes, sunscreen (YES we put it on before we left the hotel, but is a long day and sometimes you need a little more). Not a big backpack, regular size. Is just for my stuff, but, if there are more people they carry a backpack too. The backpack stays in the locker and we only go get it when we are going to get wet or had already to change or bought something and need to store it. In the fanny pack the essentials, camera, cellphone, lip balm, something for headaches, Ponchos, Tickets etc. and if we are not going to be together we take the cellphone too, if we are, cellphone stays at the locker. We can't go to the car to change cause the car is well, at another country. The bus let us there an pick us at night, we can't go to the hotel either for the afternoon break as some due, cause we don't stay on sight. So you really need to take some stuff with you. June 4, 2010 at 7:19 AM · The day after we moved to Central Florida, I bought our family annual passes to Walt Disney World. Our home was still filled with taped up boxes during our first trip to the Magic Kingdom. Since we had two young children, I dutifully packed up a backpack with everything we might need. And by 11:30 am, I was hot, cranky, and tired of hauling that bag around. Every ride I had to take it off and stow it. I had to remember to grab it if one child suddenly dropped their hot dog to run to Mickey Mouse. I looked around. And spotted the group of twenty-something guys. No backpacks. No purses. And yet they somehow made it through the day. 1. Cargo clothing for everyone. Shorts, pants, or skirts with reasonable sized pockets. No need for a purse. 3. Trial sized sunblock. Walgreens always seems to have some inexpensive ones - even sprays. 4. A bag or two of some kind of snack. Trail mix works better than cheese and crackers. 5. Wallets and cell phones (with cameras) for the grown-ups. 6. Convenience stores carry individually portioned headache meds and allergy meds. Not that expensive and better than carrying a bottle. 7. Emergency ponchos for those that don't want to get wet on water rides or if it looks like rain. Need a tissue or have a sticky child? Bathrooms are nearby. Keep a couple of quarters on hand if you're worried about suddenly needing feminine products. Sun glasses perch on top of the head or with sport grips. Bonus - we can waltz through the "No Bags" line. June 4, 2010 at 7:38 AM · If I cannot fit it into a normal size fanny pack, then I do not need it. Now this may change a little now that I have a new daughter. I keep my the rest of my change of clothes (layers a must)and snack food in the car and goto the lot and take breaks. I have always felt that walking around slighty wet is part of the experience. So I only change if I have to. However, I have exzema and I keep extra socks with me because the chemicals in the water can set off an outbreak. I keep a third pair in the car too. I always where my sunglasses with a tight fitting laner that I do not take off untill dark. As for reusable water bottle...DO NOT bring in a nice one. Only reuse one you bought in a rest stop or store. Some parks like Cedar Point sometimes will not let you store your bottles while you are on cetain rides. You have to throw out your bottles. You don't want to lose a nice one you brought from home or in the park. I have a new kid now so I am forced to carry more. Love the collapsable cup idea! Great suggestions! Thank you. June 4, 2010 at 8:09 AM · One of those drawstring bags that soccer players sometimes use works really well and is usually cheaper. we spend all day at the parks, so for us it's backpack in the locker and what we need goes in the fanny pack, nothing in our pockets to get wet, lost or fall out during a ride. June 5, 2010 at 6:15 PM · Yea I seen that to stuff falling out of pockets happend to me with a phone once on a upside down carnival ride. June 6, 2010 at 9:16 AM · I usually bring tickets, sunscreen, water, change of clothes, and the good old camera! Call me immature, but I bring pens and an autograph book for the Disney Parks (in particular Walt Disney World) and Disney Cruise Line just in case I run into a novel character! June 7, 2010 at 5:18 PM · I'm from Oregon, and tend to go to Orlando in late August (for free dining at WDW) and I need lots of water. Costco carries a great 2-liter hydration pack for about $20. I fill it up with ice and water in the am, and am good till midafternoon. It's a nice slim design, and holds wallet, cell, rain poncho and snacks. Usually also have moleskin for blisters and a travelsize sunscreen. 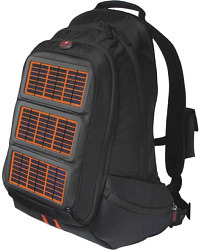 Love this pack for theme parks, and actually have used it more for that than the hiking we originally bought them for. June 8, 2010 at 10:42 AM · I am a pass holder at BGW, and anyone who visits BGW with a group who ride everything, (no one to wait and hold your stuff), then you will NEVER carry a back pack. Busch Gardens has a phobia against "loose articles". There is no place to store them on the rides, no handy backpack holders on the back of the seat in front of you like at Disney. They also do not want you to just set them on the side when you ride. BGW actually expects you to pony up $3 for every ride to use a locker. Kings Dominion collects the articles and puts them in bins, which is nice. If there is anything we want to have in the park, not in the car, we put it in a locker up front. I carry a sample size sunblock, my camera, my cell phone in my pockets. My cash and credit card go in my pass holder. We do have the refillable mugs, and those we leave unlocked in a locker when we are riding rides. BGW does not allow outside food. So the only place I carry around a back pack with snacks and everything I would ever need in a lifetime is Disney. They have bag holders on the rides and allow in outside food. At Busch Gardens, if you are riding, you need to be hands free!